True greatness cannot be measured The new Angelbird SSD2GO PKT makes its own rules. Standards are meant to be broken. It's fast, compact and shines with unique features. Do more, do it instantly Whether you're working, creating or just having fun, your media and data are where you are. With blazing speeds of up to 560MB/s. Merges with your mobile workflow With USB 3.1 Type-C, 10Gb/s the SSD2GO PKT is fully compatible with the standard of the future and ensures that your mobile workflow will shine. Its low power draw means high compatibility - with everything from computers to televisions, car stereos, mobile devices, tablets and more. Small and proud The technology we carry with us - those indispensable devices that go where we go - must be rugged, reliable and easy to take along. The SSD2GO PKT, at just 50 grams and about the size of a car key, meets all those standards with excellence. 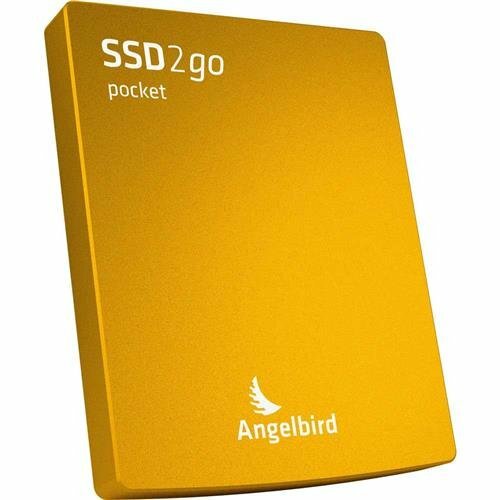 Hard to take your eyes off Designed and manufactured in Austria to demanding specs, the SSD2GO PKT delivers award-winning Angelbird quality, power and style in a pocket-size device that's a perfect match for your on-the-go life. Fights the bad To protect your valuable data the SSD2GO PKT fights impact, dust, splash water, high temperature electrical shocks, X-rays and magnetic fields with ease. Its Solid Connect interface logic is another feature you're going to love. If you have any questions about this product by Angelbird, contact us by completing and submitting the form below. If you are looking for a specif part number, please include it with your message.